I don’t know why I’ve been having a hard time focusing on this project compared to my others but what I don’t know why. It wasn’t much of a hard task per se but just something had me dragging my feet instead of raring to go. At any case I was mulling over the idea and I was inspired sort of by David Rose’s Ambient Devices. It’s this orb that you set the data and the color shifts on what you want it to read to you. 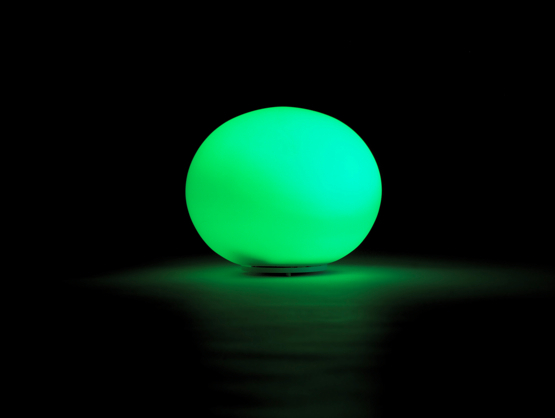 Like for example, you want the orb to read whether or not your stock is going up or down, you set it to show red for down and green for up, and when it just shifts colors throughout the day. I decided to go with a sleek cube that could blend with any desk, professional or casual. So I toyed with the number just being projected when you press it and otherwise just being a cube but I don’t know. And then toyed with some ideas of some humorous or practical add ons to the top, a succulent plant, a pencil cup, a big red button apparatus, or a dinosaur. But again not too married to the idea. There was also the possibility of it having a touch screen so you could customize the background. And with that, I could remove the ‘set’ button on the outside altogether. The Settings button could allow you to set your number, the background of screen (and if if changes at a certain point along your goal, randomized each press, etc.) and an alarm sound option. On each side is a button, one for up and another for down. I was thinking of even getting rid of that and relying on the touch screen again, but I don’t know, I feel like there’s a satisfaction of a button press. I added on my paper model also a charge port and a battery compartment because I’m not entirely sure if I wan it to be plugged or battery powered?